I believe most Mac users are very organized when it comes to their data, music, movies, office, set-up, etc, etc. So to find an application that helps you to organize your database is very important. For example, iTunes is great piece of work that puts all your music on track. Anyways, this post is not about music, it’s about Bento for Mac. This software is unbelievably easy to use as it organizes all of your important information in one place. You can manage and sync your contacts, address book, iCal, iPhoto, To Do Items into your project as easy as drag and drop. The latest version 4 is for Intel only, but after doing some research and installing old versions I found out that 3.0.6 is fully compatible with PowerPC 10.5. Bento is not free, so before you guys purchase please contact FileMaker and make sure they are still providing the right license for your version. Download available here: http://www.filemaker.com/support/downloads/ (the last item on the list). Filemaker was always my favorit app. 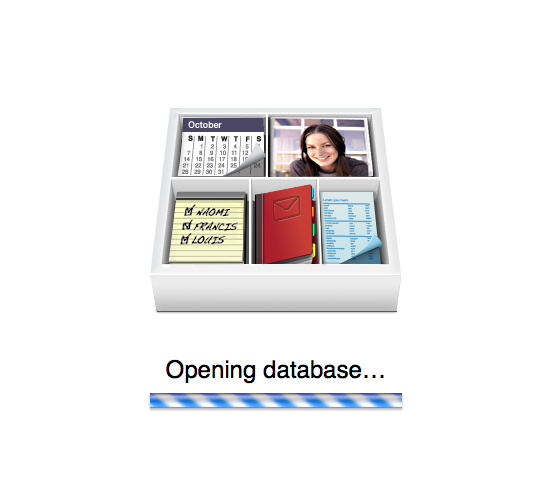 I used to develop big databases in it (for hospital, university and schools), on Mac OS 9 and on Windows XP… However, nowadays having a most perfect Spotlight on my machine, the need for having a database is smaller. Bento is a great app, but the possibilities are smaller than those of Filemaker. If you are considering to develop bigger databases, I would advice to use Filemaker Pro. Bento is fine for home usage (when Spotlight is not enough).